Amazon is having a huge sale on over 400 e-books until May 11! Waiting for Morning by Margaret Brownley is the second book in the Brides of Last Chance Ranch series. I read and reviewed the third book, Gunpowder Tea, which was a fun read- check out my 4 star review here. Each book can be read as a stand-alone, so don't worry if you aren't reading them in order. Molly Hatfield comes to Arizona Territory seeking stability and security. But living in Cactus Patch provides her with more than she ever dreamed of. There is nothing Molly wouldn’t do for her teenaged brother, Donny. Blaming herself for the accident that left him wheel-chair bound, Molly has dedicated her life to his care. But in 1896, gainful employment for a woman is hard to come by. So when Molly learns that an eccentric rancher in Cactus Patch, Arizona, is looking for an heiress--someone to take over management of the ranch in exchange for future ownership--she jumps at the chance to provide a real home for her brother. If she proves to have a knack for ranching and agrees to remain single for life, the ranch can be hers. Neither stipulation worries Molly. She’s resourceful and hardworking. And she gave up dreams of marriage long ago when she dedicated her life to her brother’s well-being. However, Molly didn’t bank on meeting Dr. Caleb Fairbanks, the town’s handsome and charismatic young doctor. Caleb has a way with Molly that makes her nervous. But it’s how he is with her brother that really alarms her. Caleb sees past the wheelchair and genuinely likes Donny, but Molly fears he’s putting unrealistic ideas into her brother’s head. Falling in love with Caleb would threaten everything she’s worked for, even her brother’s future happiness. But it could be the very reason God brought her to Last Chance Ranch. 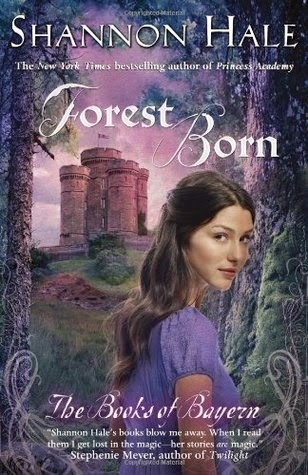 Forest Born by Shannon Hale is the fourth book in the Books of Bayern series. This is a series that I would recommend reading in order- while it may not be necessary, I think the books would be enjoyed more. Rin is sure that something is wrong with her...something really bad. Something that is keeping her from feeling at home in the Forest homestead where she's lived all her life. Something that is keeping her from trusting herself with anyone at all. When her brother Razo returns from the city for a visit, she accompanies him to the palace, hoping that she can find peace away from home. But war has come to Bayern again, and Rin is compelled to join the queen and her closest allies--magical girls Rin thinks of as the Fire Sisters--as they venture into the Forest toward Kel, the land where someone seems to want them all dead. 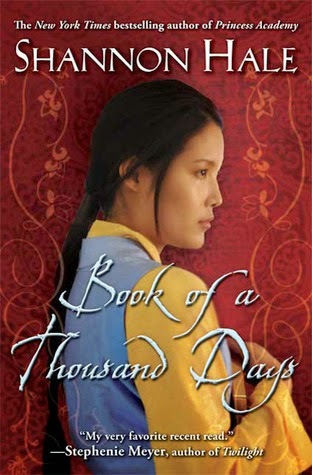 Many beloved Bayern characters reappear in this story, but it is Rin's own journey of discovering how to balance the good and the bad in herself that drives this compelling adventure. 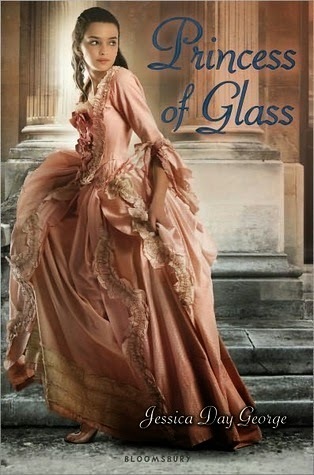 Princess of Glass is the second book in a series of YA fairy tale retellings by Jessica Day George. It's an adaptation of Cinderella which was enjoyable- I rated it three stars (although I liked the first book Princess of the Midnight Ball better and gave that one 4 stars). I haven't read the third book in the series which is based on Little Red Riding Hood. I love Shannon Hale's fairy tale style books. If you haven't read this one yet, $1.99 is a great price! Grab it here at Amazon! When Dashti, a maid, and Lady Saren, her mistress, are shut in a tower for seven years for Saren’s refusal to marry a man she despises, the two prepare for a very long and dark imprisonment. As food runs low and the days go from broiling hot to freezing cold, it is all Dashti can do to keep them fed and comfortable. But the arrival outside the tower of Saren’s two suitors—one welcome, and the other decidedly less so—brings both hope and great danger, and Dashti must make the desperate choices of a girl whose life is worth more than she knows. 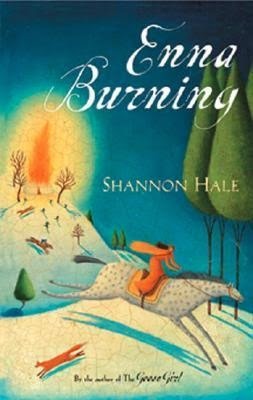 With Shannon Hale’s lyrical language, this forgotten but classic fairy tale from the Brothers Grimm is reimagined and reset on the central Asian steppes; it is a completely unique retelling filled with adventure and romance, drama and disguise. Enna Burning is the second in the Books of Bayern series by Shannon Hale and also on sale at Amazon for $1.99. I'd recommend reading The Goose Girl first (only $4.61 for e-book) to understand some of the backstory better. Enna and Princess Isi became fast friends in The Goose Girl, but after Isi married Prince Geric, Enna returned to the forest. Enna's simple life changes forever when she learns to wield fire and burn anything at will. Enna is convinced that she can use her ability for good-to fight Tira, the kingdom threatening the Bayern borders-and goes on secret raids to set fire to the Tiran camps and villages. But as the power of the fire grows stronger, she is less able to control her need to burn. In her recklessness she is captured by the Tiran army and held captive by a handsome, manipulative young captain who drugs her to keep her under his influence. Can Isi and her old friends Finn and Razo rescue her without sacrificing themselves? And with the fire still consuming her, will Enna find a way to manage the gift that threatens to destroy her?